Apart from that, I feel one more personality trait that is important to comprehend is laziness. Let's look into each one of them. not mind trying new kind of cuisines but on the other hand there are people who will only eat some particular cuisines only. 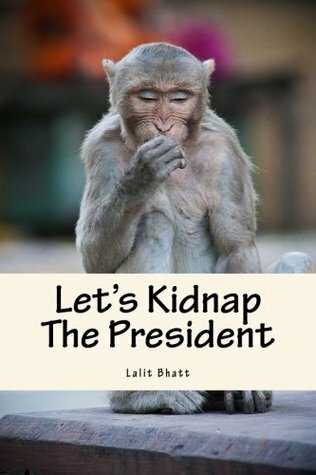 There are people who are great planners and stick to their guns and their are people who will live as per the situation. Their are people who work their retirement before their first job and the other know who never retire because they do not have a concept of retirement. Some people just pick talks with any stranger and others remain silent. People high on extraversion finish their journey with a bunch of email addresses, visiting cards and phone numbers. Some people find a point to agree and others find a point to disagree. It's quite common to see these patterns in statements like "This is a good idea" and "I don't think this is a good idea". Certain people approach everything in a negative way. If it rains than they don't like it as it becomes wet and heavy. If it's not rain than they feel it's too dry. Their is a constant sense of negativity. If something wrong happens they will blame everyone except themselves. Some people are action driven while others just procrastinate. Let's take a situation and see that how each of these aspects play with each other. Let's say that you propose to your friends to go for a lunch to a new restaurant in the town. A guy with open mind will jump on it. If his planning level is high, he will go into Google map and work out the way with every right and left turns in detail. The one high on extraversion will immediately pick a talk with the manger of the restaurant and will tell you that the guy has been poached from another restaurant across the road. Some people will immediately agree with the idea but others would say that trying something so new may not be good. The people who agree if are low on openness will not try the restaurant if they have to take the decision, but as you and some are willing to go, they do not want to go against you. At restaurant they would order something familiar. The guy high on neuroticism will say that it's not a good idea to try new restaurant. If he is high on openness, he would say that he does not mind eating there but it would be good if we can get some feedback before we try it. At restaurant they will crib about the quality of table cloth, the finger prints on eating plates and drinking glasses. If someone is high on neuroticism and high on agreeableness, again they will go with group choice but will complain about everything on the way. So if we look closely, each trait brings its own set of behavior. People might be open, are great planner and agree to the plan. They do not pick any flaw in the things but still they would not just do it. It's not in their nature. They will keep on procrastinating and will keep doing self promised that they will finish it soon. It's not that a trait on one end is better than at the opposite end. The traits need to be looked from the perspective of the situation. Certain situation needs certain kind of traits. Openness results in people finding new things. It's about achieving breadth. Limited openness results in depth and further refinement of skill sets. Planning is important in stable executions and live by the situation bring spice in life. Extraversion creates social networks and low extraversion brings peace. Agreeableness helps in moving forward and low agreement levels results in new ways of dealing with a situation. High neuroticism provides opportunity to refine things further and an opposite perspective to things. In my other post, I have talked about Personality mapping. Those three dimensions still hold true to map someone. 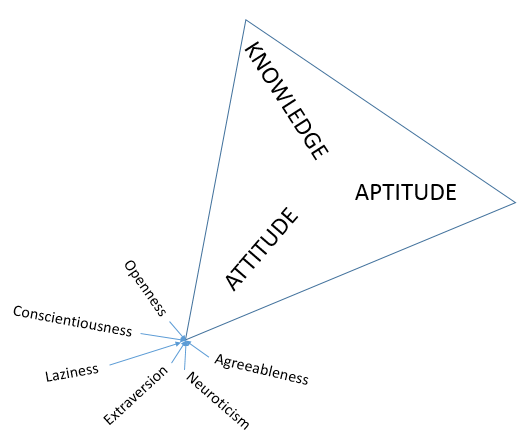 These traits basically define the attitude dimension of of the personality mapping.